Key Difference: LAN stands for local area network. It is an assembly of computers and associated devices which are interconnected. LAN is implemented in a relatively small area. On the other hand, Broadband refers to a high speed internet connection. In broadband, multiple data channels are used on a single wire. It is a high bandwidth type of connection. LAN stands for local area network. It is an assembly of computers and associated devices which are interconnected. 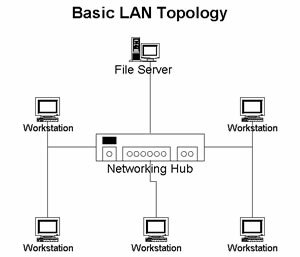 LAN is implemented in a relatively small area, like within a building or a small group of buildings. It is regarded as the most common form of network. LAN is capable of providing high speed data transfer rates. One of the key characteristics of LAN is that it provides full time connectivity to the local services. The transmission media plays an important role in setting the connection. Cabling is generally used as a primary transmission medium. The transmission of LAN can be categorized into – Unicast, Multicast and Broadcast transmission. Bus, Ring and Star are common topologies for a LAN network. Broadband refers to a high speed internet connection. In broadband, multiple data channels are used on a single wire. Typically, it uses some form of frequency or wave division multiplexing to achieve the desired results. It is a high bandwidth type of connection. Due to its high access speed, it is often preferred over the traditional telephone and modem. According to the Recommendation I.113 of the ITU Standardization Sector, broadband is a “transmission capacity that is faster than primary rate Integrated Services Digital Network (ISDN) at 1.5 or 2.0 Megabits per second (Mbits)”. The information can be easily sent and downloaded by using broadband, as it takes very little time to complete the tasks. It is also known as 'the fast internet'. 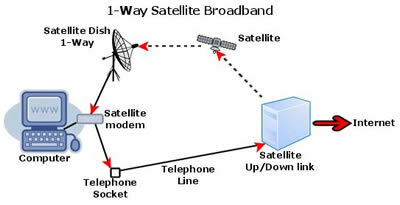 One can acquire the facility by telephone cable, super fast fibre optic cable or via satellites. LAN stands for local area network. It is an assembly of computers and associated devices which are interconnected. LAN is implemented in a relatively small area. Cost of setting up the network is usually low. Data transfer rate are high. High speed interactive games can be played. Internet radio, streaming video and voice-over-ip, phone calls, etc. are received as uninterrupted real time services. It is a high capacity network — 230.4Kbps (thousand bits per second) to 10Gbps (billion bits per second). It works within a finite distance in a limited geographic area. It is owned by a single organization.